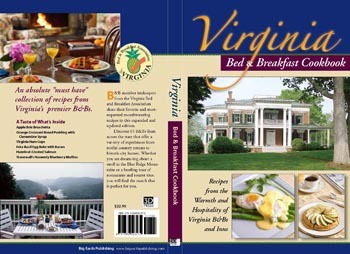 The newly expanded and updated edition of the cookbook by the Bed and Breakfast Association of Virginia is now available. This book features an absolute "must have" collection of recipes from Virginia's premier B&B's including 4 guest favorites from the Mountain Rose Inn. Purchase today at shop.mountainrose-inn.com for all the cooks on your Christmas shopping list...and don't forget to get one for your own kitchen as well!